Threats to Federal information systems are rising as demands for sharing of information and intelligence between Federal Departments and Agencies increase. It is essential that the Federal Government devise an approach that addresses both challenges without compromising the ability to achieve either objective. Developing a common governance framework and set of Identity, Credential, and Access Management (ICAM) capabilities that enhance the security of our systems by ensuring that only authorized persons and systems from different Federal components have access to necessary information is a high priority. The Federal Identity, Credential and Access Management (FICAM) Roadmap and Implementation Guidance was developed to address the need for secure information sharing capabilities across the breadth of the Federal Government. 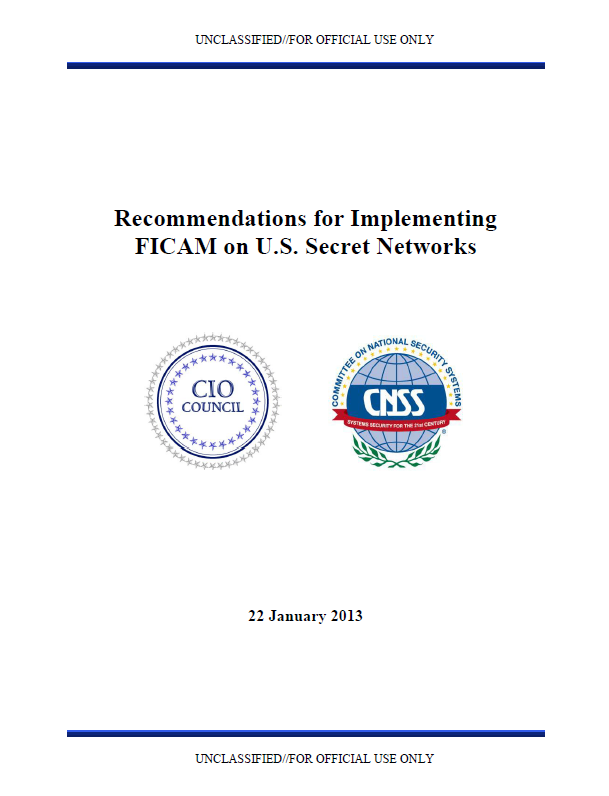 A recent gap analysis conducted to determine gaps between the current state of the Secret Fabric and FICAM revealed substantive differences between levels of adoption of this framework and served as the catalyst for this document. 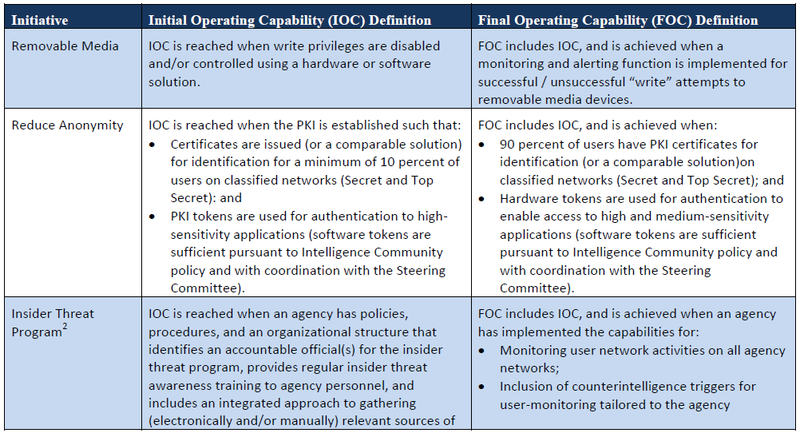 In addition to varying levels of FICAM maturity, the gap analysis also showed significant variations in levels of sharable information, connectivity, and governance structures which further complicate the aim of a common FICAM framework across the Secret Fabric. The following progress chart summarizes the recommendations with objective end states and suggested activities required to accomplish the objectives along a snapshot of status of ICAM on the Secret Fabric as of the publication date of this document. These recommendations, objectives and activities will be included in the FICAM Implementation Plan for the Secret Fabric currently under development by the National Security Systems (NSS) Identity and Access Management (IdAM) Working Group under the guidance of the Program Manager for the Information Sharing Environment (PM-ISE).